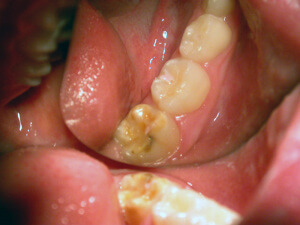 Caries is a disease. 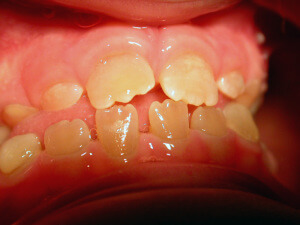 It is the most widespread disease in the world. 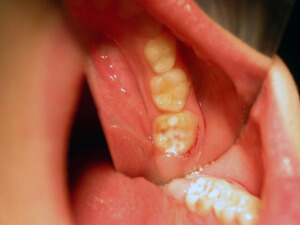 The bacterial dental plaque (also called a biofilm) is the main cause of the infection of the teeth and the supportive tissues, i.e. 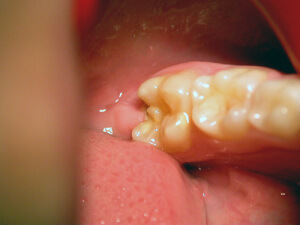 of the caries and periodontal diseases respectively. 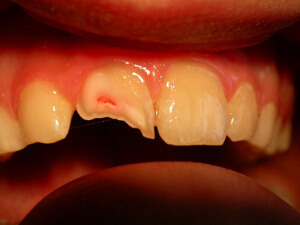 The accumulation of dental plaque and the colonization of bacteria lead to the appearance of dental and periodontal pathology. 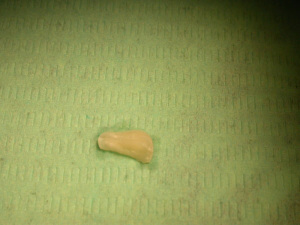 Microbes cling on various surfaces and form the biofilm. 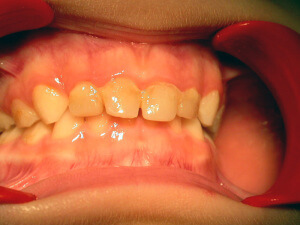 In addition, frequent intake of carbohydrates (especially sweets) gets metabolized to acids. 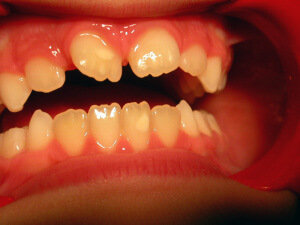 The pH of dental plaque becomes acidic repeatedly, and that favors acid tolerant bacteria, such as streptococci and lactobacilli that are the most dangerous bacteria for caries. 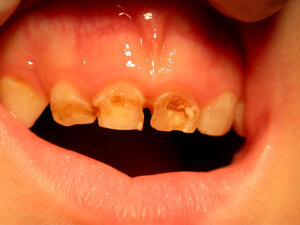 Research shows that caries as a disease is identified at certain groups of people that are more prone to it. 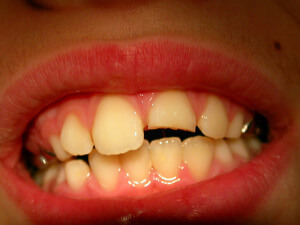 80% of the carious cavities are located on 20% of the world’s population. 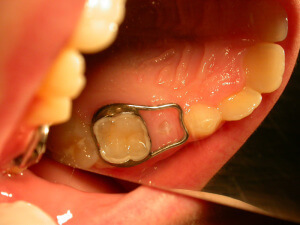 Caries is a disease. 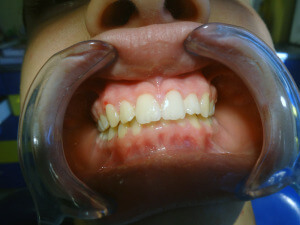 The best treatment is prevention! 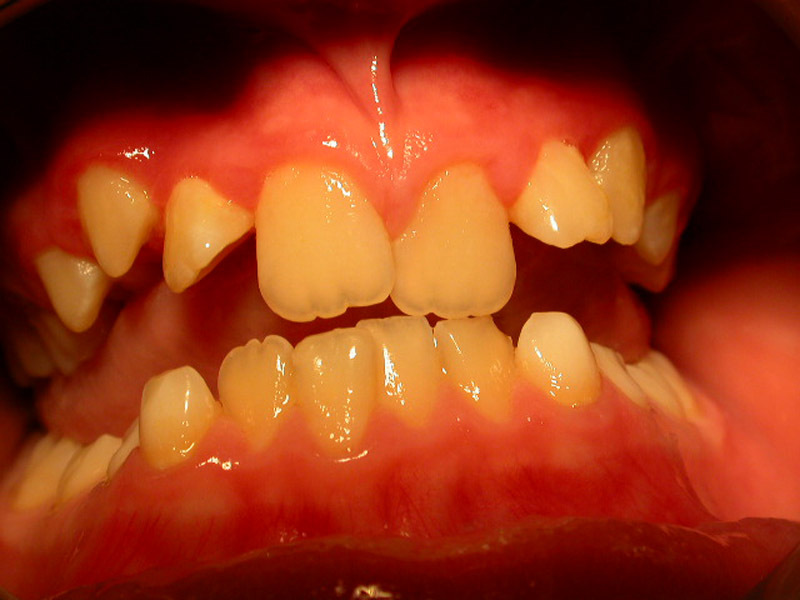 Gingivitis is caused to the bacterial dental plaque. 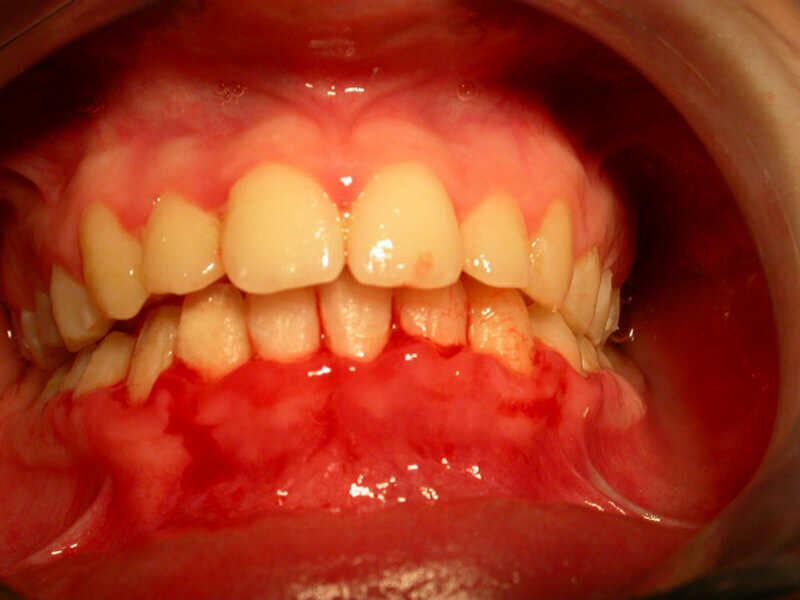 The main problems related to gingivitis are bleeding from the gums (during tooth brushing), halitosis and swelling of the gums. 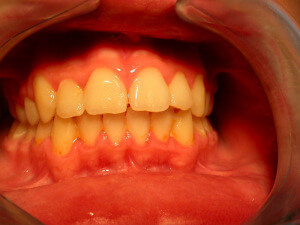 Except for the bad oral hygiene, gingivitis is related to hormonal changes during puberty or pregnancy, or the presence of orthodontic mechanisms in the mouth that make difficult to maintain good oral hygiene. 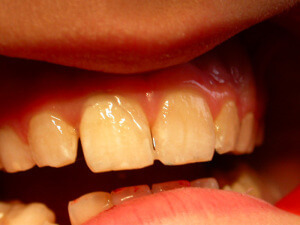 The best way to treat gingivitis is to prevent it. 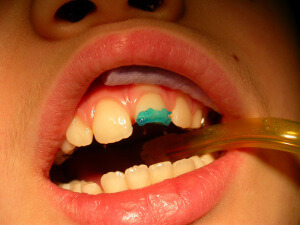 Proper toothbrushing with a proper toothbrush and toothpaste corresponding to the child’s age. 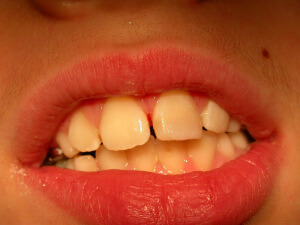 Guidance for the use of dental floss and the proper mouthwash. 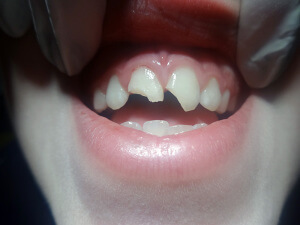 Application of specific preventive measures by the pediatric dentist, such as prophylaxis and scaling. 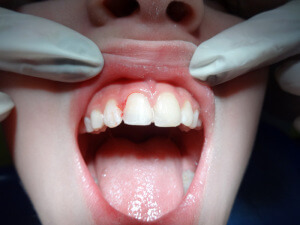 Various injuries at the face or the teeth are a serious and urgent situation that needs different kind of treatment approach analogous to the kind of trauma. 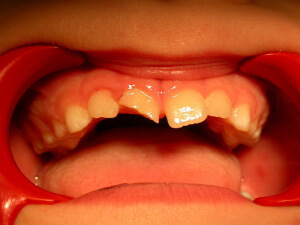 Quite often, a tooth is broken, a tooth next to the previous has been moved towards the palate or the lips and another one has suffered concussion or extrusion. 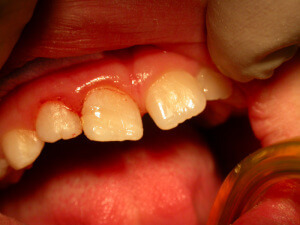 Specialized and immediate care is needed for the teeth to be saved. The prevention is focused on the application of an athletic mouthguard of protection, especially if the child takes part in a sport. 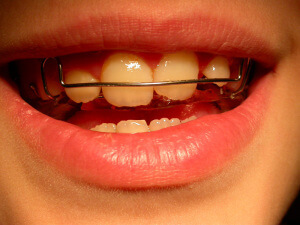 Besides contact sports like tae kwon do, mouthguards are useful for cycling, basketball, football, skiing, skating etc. 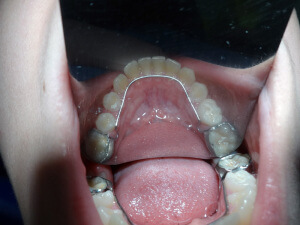 The solution of the orthodontic problems of the children is about arranging the teeth in the mouth and achieving correct occlusion of the jaws. Crooked teeth and bad occlusion may have detrimental effects on the oral health and children’s appearance and self-esteem. Αισθητικά προβλήματα – εκτός από τα ορθοδοντικά – προκύπτουν και από χρωστικές που επικάθονται στα δόντια. Η χρωστική αυτή πολύ συχνά είναι μαύρη (μελανή χρωστική) και οφείλεται στα λεγόμενα χρωμογόνα μικρόβια. Επίσης, όχι και πολύ σπάνια, υπάρχουν αισθητικά προβλήματα από μη τέλειο σχηματισμό της αδαμαντίνης, πριν ακόμη ανατείλουν τα δόντια (Υπενασβεστίωση τομέων-γομφίων, ατελής αδαμαντινογένεση κλπ). 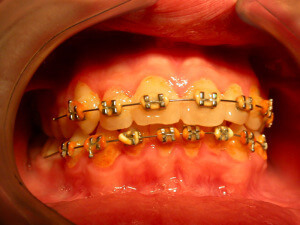 There are ways to prevent orthodontic problems and avoid braces. 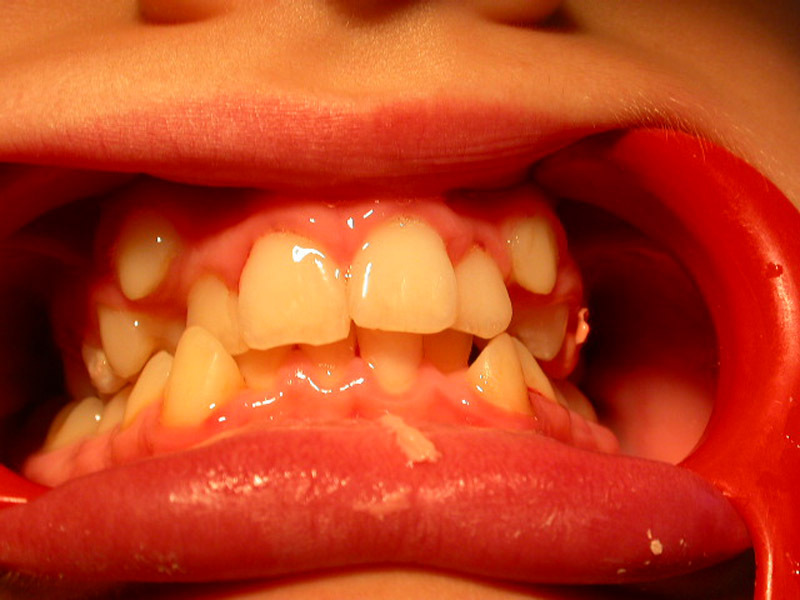 It’s essential to check our children early and on a regular basis, to avoid teeth crowding, discontinue a bad oral habit, or in order to guide favorably the facial and dentoalveolar development.